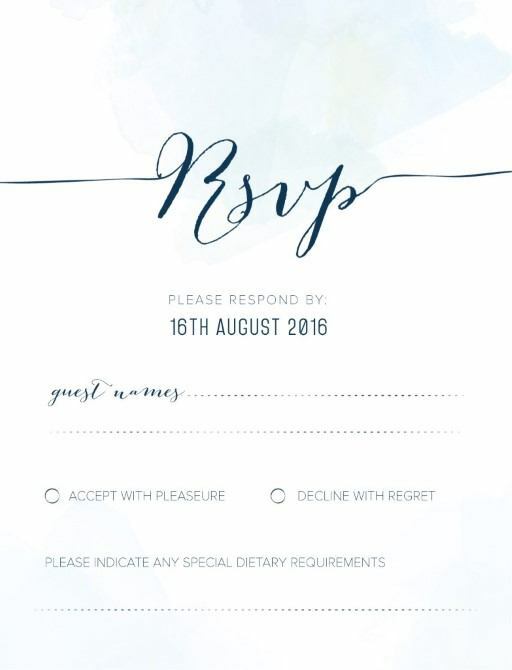 This RSVP card is from the bold wedding invitation set, 'Clouds' from designer Jidapha Tiantongnukul. 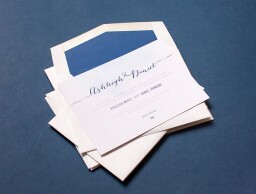 Modern yet classic all at once, these invitations would suit a beach or nautical themed wedding. The ribbon inspired text adds a touch of romance to these all-blue occasion cards. This design is available as a digital print only. When I first saw this RSVP card, I was immediately attracted to it by the fonts, which seem to be inspired by the ribbon style. I think this creates a unique and original appearance of this card, making it look really romantic and stylish. I also like the background, which is designed to create the impression of clouds, of bright sky, which I consider to be perfectly suitable with a special event such as a wedding.